The project has a goal of 100 percent zero net energy use on an annual basis. 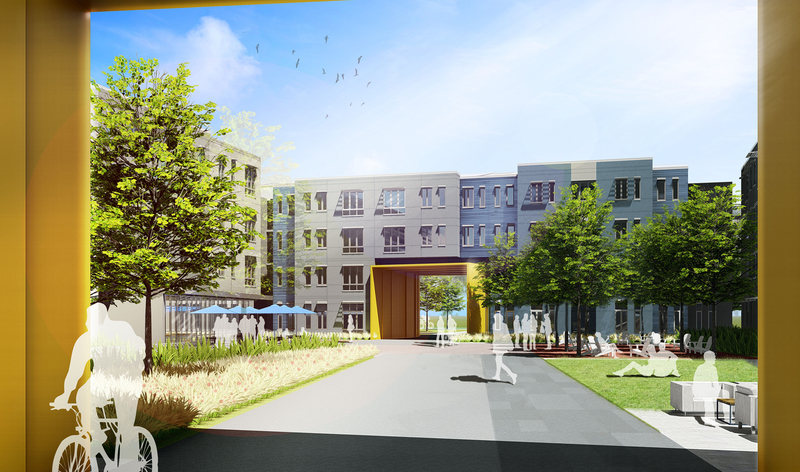 The Green at West Village is a public-private partnership that will provide 3,300 new beds for freshman and transfer students at UC Davis. It is currently the largest single student living project to be developed in the United States. The community is comprised of nine four-story apartment buildings along with both indoor and outdoor community spaces and recreation fields. A 10,000 square foot community center will house a fitness center, multi-purpose room, and student support services. The Green has a goal of 100 percent zero net energy use on an annual basis. 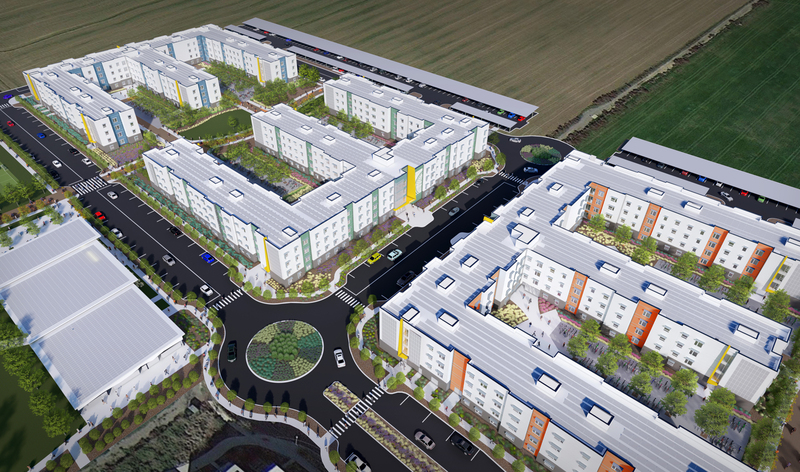 In 2019, Michaels will begin construction on a second development in partnership with UC Davis, Orchard Park, which will provide an additional 585 units,1500 beds, to serve graduate students and their families. 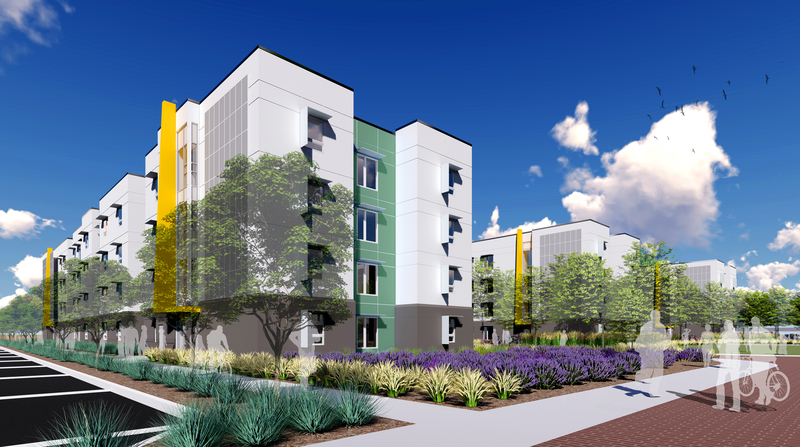 Once all phases are completed, 4,800 new beds will be added to the UC Davis portfolio..
Michaels and UC Davis set another record by closing on $575 million in tax-exempt bonds to fund the entire project; the largest-ever bond issue for a single student housing project in the country. New Construction apartments and townhomes. The project has a goal of 100 percent zero net energy use on an annual basis.